In 1797, the founders of the Institution sent a document entitled ‘Outlines of a plan for a Library and a Newsroom’ to potential subscribers in Liverpool. Such was the beginnings of what became the Athenaeum. Discover how the Institution was founded and its subsequent history. During its 200 years history the Athenaeum has acquired, usually from donation, an interesting collection of artworks including paintings, drawings and sculpture. Many artefacts are relevant to the history of the City of Liverpool and its people having been donated by Proprietors. Learn more. 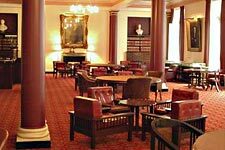 The Athenaeum has had many distinguished Presidents during its 200 year history. Elected at each AGM, the President serves for one year during which time he or she oversees the club’s many activities. Learn more about the role of the President and a message from the current President. 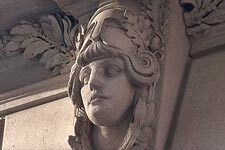 Membership of the Athenaeum has much to offer. Apart from its glorious premises which provides a haven in the heart of our city and the best private library in the country there is also a full social programme. Discover the benefits of Membership.